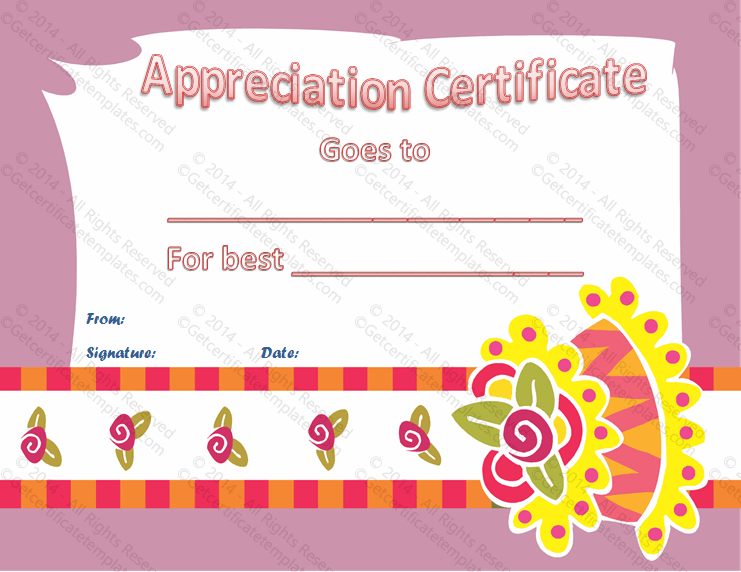 Appreciation certificates are nice to receive, but can be very generic. 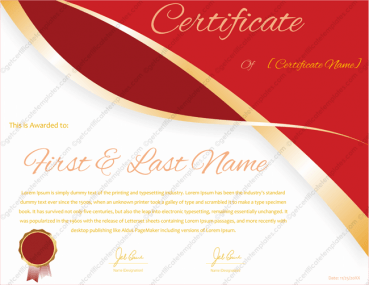 For example, where do you find one devoted to cake decorating? 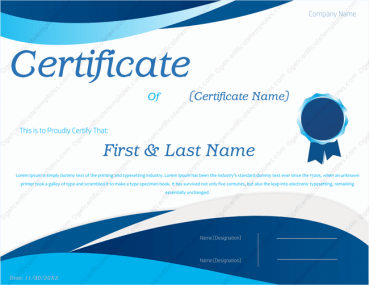 The answer is here, and are certificates are just perfect for the occasion. 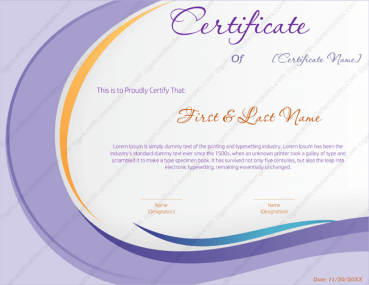 Our cake decorating certificate is designed to look like part of the front of a beautifully decorated cake. 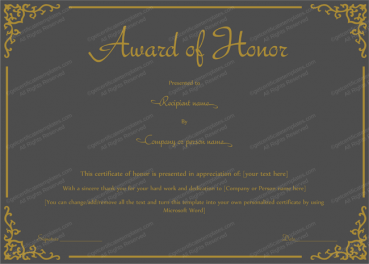 The appreciation certificate is done in a rose background with a number of rosettes and other shapes on the lower part of the certificate. 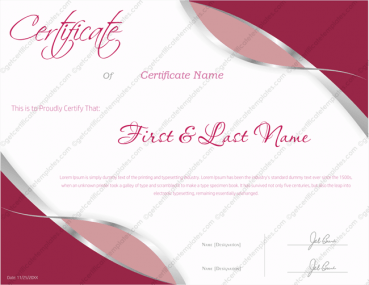 The upper part has an open area for the name, class, signature and date in a violet script. 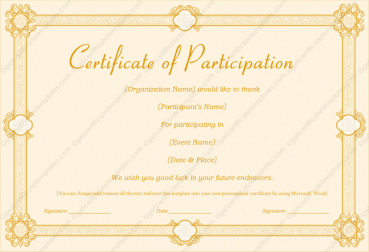 This is quite original. 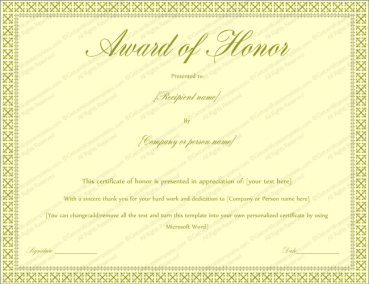 However, if a different color or font is desired to match a particular occasion, this can be altered by the user of the template. 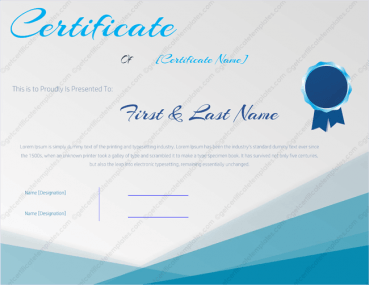 Then, just the amount needed can be printed and easily filled out. 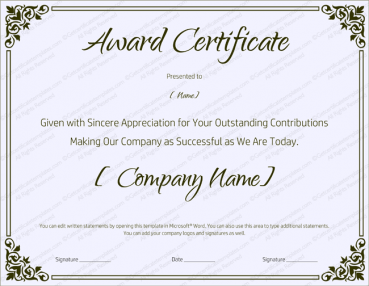 These certificates will let students know that they are appreciated by the instructor.